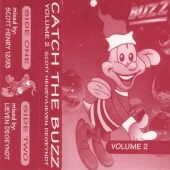 Scott Henry's contribution to the second installment of the 'Catch The Buzz' series. This is one of my favorite mixtapes of all time. I never get bored of listening to this.